Home → Windows → Windows FAQs → What are window energy ratings? If you’ve been looking into new windows and comparing some different options, you’ve probably come across window energy ratings (sometimes abbreviated to WERs). 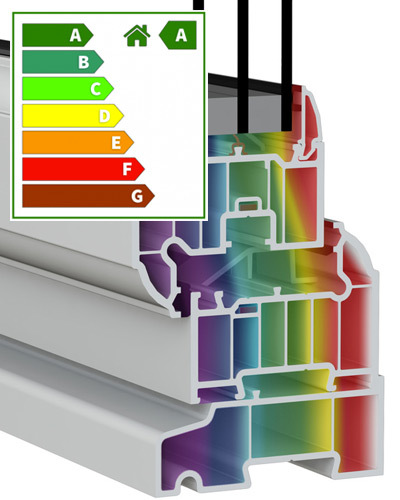 Window energy ratings are an officially recognised system for directly comparing the energy efficiency of windows in Britain. They take into account both the heat gained from sunlight and lost through any inefficiencies to calculate a net energy value. The final rating is presented on a colour-coded scale that goes from E to A++ to make it easy for consumers to compare. While these three bodies work independently of one another, their ratings are directly comparable. A window rated A+ by the BRFC will always be better than a window rated A by Certass. Their labels are also laid out in a very similar way, even if all the details aren’t quite the same. KLG Rutland uses the BRFC ratings. There are three main metrics considered in a window energy rating: thermal transmittance (U-value), solar factor (g-value) and air leakage (L-factor). These metrics are combined in an overall Energy Index, with a calculation that involves subtracting the heat loss (U-value and L-factor) from heat gain (g-value). Those metrics contain a lot of technical jargon. The two heat loss metrics, U-value and L-factor, relate to the different ways that a window could let heat out. U-value, or thermal transmittance, refers to heat that is being conducted through the glass or the frame of the window (see more about that here). L-factor, or air leakage, refers to heat being lost through warm air escaping through gaps in the window itself. The heat gain metric, g-value, is calculated by looking at the amount of solar energy transmitted through the glass. This could be from energy passing through directly in the same way that light does, or from heat energy being absorbed by the fitting and radiated inside. We believe that the U-value is just as important a metric as the overall energy rating. KLG’s windows are better insulators than cavity walls, which means they’ll do a great job of keeping heat inside your home. The energy rating itself is less valuable because a high g-value is not necessarily a good thing. In the summer, you won’t want your house to let in a lot of heat from the sun. It’s much more important to know how good your windows are at insulating, as this will give you more control over the temperature inside your house. There are a couple of different regulations around window energy ratings that it’s helpful to be aware of as you do your research. The first is that all new windows must have a C rating as a minimum. While this means that your new windows won’t be at the bottom of the scale, it’s still not great. If you’re concerned about energy efficiency, you’ll want to look for a manufacturer that goes beyond the basics. It’s also important to know that windows don’t have to display a rating label at all. The unit will still have been rated, but there’s no requirement for it to display the results. However, if you don’t see a rating label and the information isn’t volunteered, it’s worth asking. You’ll want to have as much information as possible before making a decision on your new windows. What are the benefits of better ratings? Ultimately, better ratings mean that your windows will do a better job of keeping your house a comfortable temperature. 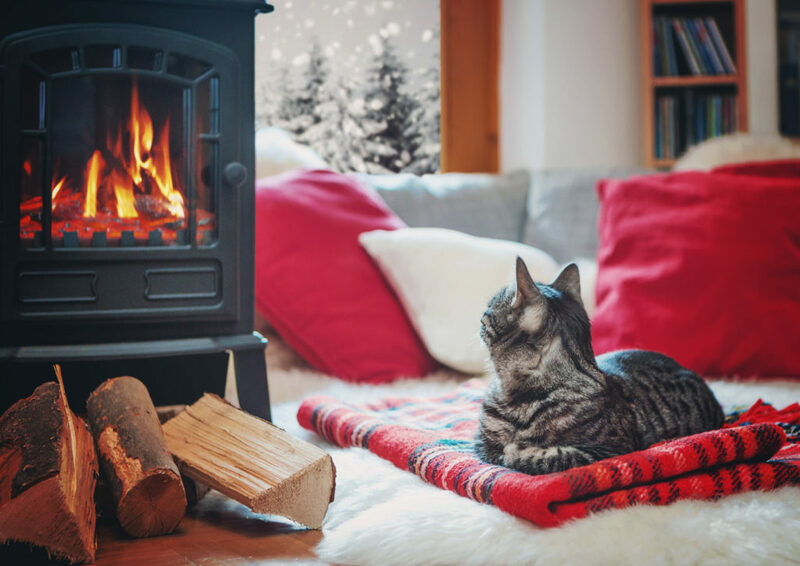 They also mean that your heating won’t have to work as hard to maintain a good temperature in colder months, saving you money in the long run. All of KLG Rutland’s windows are A+ rated as standard, which is comfortably more than the regulatory requirement. This is because we use the latest double and triple glazing technology to ensure that you’re getting state of the art, high quality fittings. If you want to find out more about our windows, visit our FAQs page where we’ve answered a wide range of the most popular questions, or contact us to speak to us directly.